Since I got rid of 7 pairs of shoes last week I decided I need a pair of clogs. I know they're not for everyone. I'm not loving the lace up brown ankle bootie (or maybe I just haven't see one I LOVE yet), so I was thinking the clog would be my go to when others go there! I'm a big fan of clogs. I had a pair in college and can't remember for the life of me why I ever got rid of them. Maybe to make room for this stunning pair! What do you guys think? 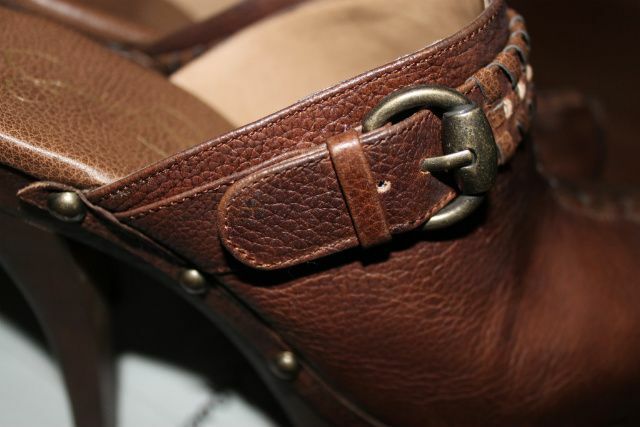 Are you clog wearers or this style just not for you? oh wow, I LOVE those! Right on trend, but not as clunky as a lot of them I've seen! Great buy! I think they are super cute!! I am impressed JS has such cute shoes!!! I like a lot of her shoes!!! I think those are super cute and stylish! I would rock those in particular but I am not a big fan of clogs...only because they seem bulky to me. These those are too cute. Erin, I have said bangs! ;) my hubby loves me with bangs, but I hate the upkeep. Best way to stall cutting them? Bangs clip in!!! These are cute. 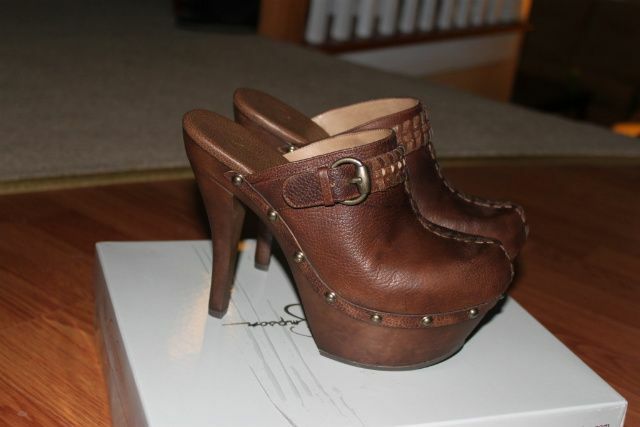 I'm not really a clog girl, more booties, but I love these. Good find!